"I am so happy and so over the moon with my settings that I bought from you. Your quality in gold and diamonds is wonderful! Your workmanship is beautiful! Your customer service is unbelievable! I am a satisfied customer!" Mary from Summerville, SC. Read More Reviews Here. Here are some quick examples of our past custom orders. Please explore more options that we have worked on below. Please rest assured that our quality is the best in the industry, and that our prices are next to wholesale. Just because this is a custom order, we will not charge extra. The price will be the same as for our other regular jewelry. We will also try our best to find you excellent deals on gemstones and diamonds. Please email us your ideas, pictures, and sketches to get started. You may even send us pictures of different settings to merge into one custom-made jewelry. If you can imagine it, we can make it. Let's get started! Have a custom design idea in mind? Please either draw it or send us a picture of the setting, and we will be happy to design it for you. Below is a practical example of how this process works. You can email your idea to sales@petragems.com. Here is a step by step guide into how this process works. Submit your custom design idea or send us a picture of your desired setting: engagement ring. earrings, and/or pendents among others. While submitting your design idea, please also let us know if you want us to provide the center gemstone or not so that we can quote you accordingly. If you already have a gemstone, please let us know the size and dimension of it. Please also share the ring size information at this point. It would also be extremely helpful to have a sense of your budget at this point, especially for the center stone or diamond. Based on the information you provide, we will share a quote for how much it would cost to make the setting. We will also provide multiple options. We work with all metals as well as different gemstones. We can also share ideas for using something as an alternative to diamond if you are on a budget or don't have taste for diamonds. If we agree on the pricing, we will send you a PayPal Invoice or create a listing on Petragems.com for the agreed price with clear terms and conditions specified. You may also review our return policy at this point or ask any questions you might have. Once the payment is cleared, we will draw a CAD rendering design for you within two business days to seek your approval. Please note that this is a very important stage prior to the production of the item. Please review the CAD design carefully and make any changes that you want at this point. Please also make sure that you provide us accurate details of the center stone in millimeter (if you are providing the main stone) as well as an accurate ring size. While resizing a ring is not an issue at a later stage, it is not a recommended option given that the side diamonds get disturbed and will need to be tighten again - a very labor intensive process. Once you approve the CAD design, we will start the production process. This is when we make the actual jewelry. It could take anywhere between 8-10 days to finish the jewelry, and it would depend on the level of orders we receive. Within 10 to 12 days, we will mail the finished setting or semi mount to you. Does it cost more to make a engagement ring as opposed to buying a ready one? At Petra Gems, most of our prices are next to wholesale. While it might cost more with other retailers, our prices are the same. We don’t add any premium extra price for ordering a engagement ring or other jewelry. Therefore, it makes sense to get a unique ring for the same price! How long does it take to make a ring or jewelry? From our experience, it usually take a while to get the details right. Once we know exactly what you want and you approve the CAD rendering, it takes us anywhere from 7-10 days to finish making the product. Throughout this process, we will be in touch with you and you are welcomed to ask for updates. Once ready, we will mail the item express or priority mail with insurance and signature required. We will also send you the tracking information so you know when exactly to expect it. Can I send you my own diamond or gemstone to set in a custom jewelry or ring? Yes, you are more than welcomed to buy the main diamond or gemstone elsewhere and have it mailed to us. We charge $50 US Dollars extra for setting the stone. At this point, we don’t accept small diamonds for the side. We also can’t just melt your existing ring as we like to work with well processed recycled metal. Yes, we do accept returns. Please refer to our return policy here! Usually this never happens. Read our reviews on Etsy to find out more about the quality of our products. However, we stand behind our products, and we always put your satisfaction first! What kind of metal options can I choose from? We work with all sorts of metal, including white gold, rose gold, yellow gold, and platinum. We will also be able to use palladium if requested! The standard is 14K gold, but we can upgrade to 18K for $100 more and platinum is usually $250 more. Can I use elements from two or three different engagement rings to make a piece? Yes, you can use elements from as many rings as you want to make that unique jewelry for your special occasion. Do you do engraving on jewelry or engagement rings? Yes, we offer free engraving on all orders. Please note however that it can’t be a whole sentence! We can do a word or two depending on how many letters there are in a word! Yes, all of the center/main stones will be certified by different labs. 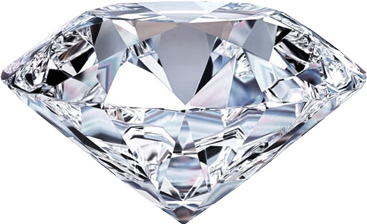 We prefer and advise clients to buy GIA or AGS graded diamonds. GIA is the best lab in the world. The side small stones are not certified. However, we assure you that they will be natural full cut diamonds with SI+ clarity and G/H color range. Do you offer any warranty on custom jewelry? In addition to our 30 days return policy, we also offer a 1 year warranty in which will repair the jewelry as well as replace any missing sides stones for up to one year. Below is a gallery of the designs we have worked with our clients. Please check them out to see the quality of our custom work as well as to get ideas for a engagement ring or other custom jewelry in order make a truly unique design for yourself or a loved one. These were mountings for two ring mountings and one custom made pendant for three tanzanites. Mary had large stones and was not sure if anyone would be able to make precise settings for them. After contacting us, she was surprised with our prices. She placed three orders for these settings with us and after seeing the result, she said she "was over the moon with the quality of our work." design 1- this was a challenging design to make as it had several elements of filgrees and milgrains. It toke a month of back and fourth to get this incredible design for an emerald cut diamond work... We are glad we were able to bring our client's vision into reality. These pictures really do not do justice to the delicate design that our goldsmith and designer produced. Design 3 - cathedral style engagement ring design with excellent cut diamonds - unique custom design after many alterations. The client wanted to integrate elements of different designs and was very specific about the size of the side diamonds as well as how they should be set. We were happy to receive a five star rating from and she continues to refer other customers to Petra Gems. Design 4 - custom cushion double halo ring and cushion halo pendent double halo setting semi mount with pink diamonds on the inner halo as request by client… Our client sent his expensiveopal and diamond in order to set in this setting. After completing the work, he couldn't believe how well done it was. 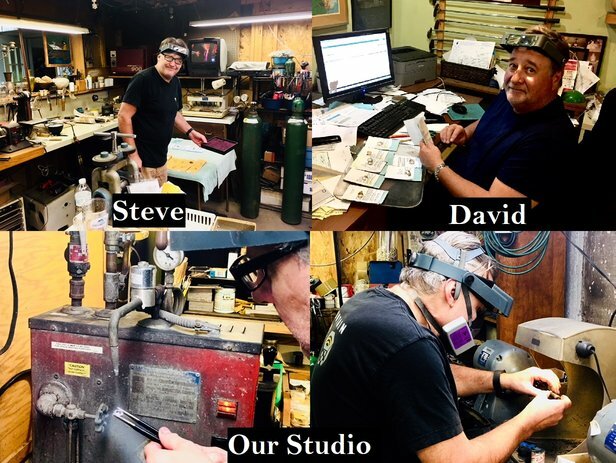 Again, our master goldsmith and designer are the best when it comes to jewelry design. Design 5 - a master piece for a hooping three carat center diamond – exceptional platinum setting with VVS diamonds. This one was handcrafted with best quality melees available in the market to match the center stone which was a 3ct VVS2 colorless and ideal cut round diamond. Design 6: Pear Cut Design setting for three exceptional quality GIA graded pear cut diamonds - center stone is 1.7 carat pear cut and side diamonds are 0.4 carat each. All colorless VS quality diamonds. Design 7 - halo rose gold engagement ring setting for an exceptional GIA graded 3.3 carat natural emerald gemstone. The client had a clear idea for how this should look and was thrilled with the outcome. We found this 3 carat deep green color emerald for a price four times less than what she was quoted. While we make a small profit, we always look out for the best interest of our clients. It is best to use our honest opinion and expertise instead of ending buying a gemstone or diamond at a much higher price. Custom 8 - Custom Oval Cut Diamond Engagement Ring in Rose Gold that we have also built in white gold and platinum. An exceptional design! This is one of our popular custom halo designs for an oval cut diamond. We can also modify it for any other shape diamond. It is also available in white gold or platinum. Design 9- a truly unique swirl engagement ring design with three rows of mixed cut diamonds. The center stone is a GIA graded deep brown color diamond as requested by the client. We work with thousands of diamond dealers and find any fancy color diamond for our clients and at next to wholesale price. If you in the market for a fancy color diamond, please contact us and we would be happy to provide you several certified options. Design 10 - unique swirl infinity design with two tone rose and white gold and the top of the engagement ring is halo as pictured. A unique contemporary design. This is one of our top selling design and we can change the metal type based on client's suggestions. Design 11- a true master piece – a split shank engagement ring with eagle prongs showcasing an incredible yellow diamond. This is a true yellow cannery diamond that we set for our client. The pictures really don't do justice to the beauty of this engagement ring. Design 12 - double shank cushion halo engagement ring for an incredible round brilliant cut diamond. This two shank halo design is very elegant and can be modified for any shape stone. The six eagle prongs particularly adds to the beauty of this setting, but it can also be designed in four prongs as pictured. Design 13: unique classic round and oval cut diamond engagement rings made for clients that wanted a classic design with an exceptional round and oval cut diamond with maximum brilliance. These designs are ideal for large diamonds with fire and quality. The step by step process begins with the initial consultation. The client wants to bring a engagement ring or jewelry idea to life. It is the job of the designer to aid the client in making the process easy and to bring the desired design into life. At Petra Gems, we try to take as much details as possible upfront in order to ensure that all the different elements are taken into considerations before we proceed to production work. After the design is agreed upon and diamond or other gemstone is selected, the designer makes a sketch of the design. In our case, we make a CAD rendering design through a CAD software (examples shown above). It will show the client a three dimension view of the proposed ring or jewelry. While it will not look exactly as the final jewelry (the final product is always prettier of course), it will do the job of sufficiently giving the client an idea of how jewelry will look as well as to provide an opportunity for the client to make any changes to the design. Once the CAD is approved, the designer or goldsmith makes the wax. The wax is used to create an exact replica of the jewelry in a flexible and cost effective manner. Since wax is cheap, we don’t have to worry about making the piece perfect in the first attempt – it might take 2-3 attempts to make the right wax model for the mold. Wax is a life saver as it helps remedy any potential structural issues and smooths the surface to avoid too much polishing at the end of the process. The third step is to put the wax into a plaster-based investment mold material to melt out the wax and make a hallow version of the jewelry. This step involves several tasks, including appropriately securing the mold, properly mixing the investment material, removing any air bubble from the investment mold through a vacuum chamber, pouring the investment mold mixture into a flask and allowing it to set, placing the flask 1300 digress in kiln set, and finally checking the mold for any obstruction and removing the mask. In this step, the metal of choice is melted and poured into the mold. Once the metal is cooled off, it is removed slowly with the help of cold water. In this step, a grinder is used to cut away any unwanted metal from the jewelry. An acid bath is also used to remove any remaining plaster from the jewelry. Once done with the initial cleanup, a metal buffing tool and jewelry polishing tool is used to finish the jewelry. Also, it will be extra work to add any stones or make prongs for diamonds and other gemstones depending on the jewelry/ring design. For white gold, radium platting would also be needed. At Petra Gems, after finishing the jewelry, we often also send pictures to the client prior to shipment. We also provide a beautiful jewelry box with each design. If desired, we can also provide an appraisal for the jewelry that will show the description and value of the item as well as outlining what type of metal was used in the production process and the grading of the diamonds or other gemstones. Rest assured, client satisfaction is our top priority. Be sure to reach out and ask questions before making a final decision. It is important to us that our client make an informed decision and are aware of all the different elements of the process prior to placing an order. We also try to provide as much information as possible on gemstones and diamonds so that your purchase is more of an investment than just an other luxury buy. Petra Gem is proud to have served our clients for over six years and constantly received five star rating. We have five star rating on Google, the Better Business bureau or BBB, YelP, Wedding Wire, and Etsy among many others. This demonstrate our commitment to quality and customer service. Not many companies claim this level of rating!